Overview: It begins as a simple act of goodwill. Koty Fowler agrees to sit with a wounded war veteran named Jamie Briggs, a quadruple amputee who resents having “charity babysitters.” But Koty isn’t like all the other volunteers in Granite Creek. She sees beyond Jamie’s injuries to the man he is and the man he wants to become. Jamie falls hard. So does Koty. And that’s when things get complicated. Back at home, Koty faces a loveless marriage with an alcoholic husband and three smart, yet troubled daughters. Iris, the middle child, is especially worrisome as she wanders down a destructive path filled with fights, truancy, and worse. Iris hates that Koty’s affection has shifted to Jamie, and so she sets out to teach her mother a lesson. What happens next leaves everyone in the small New Hampshire town reeling. The Fowler family, battered and broken, must learn how to move forward, even as they struggle to understand what happened in their own backyard. 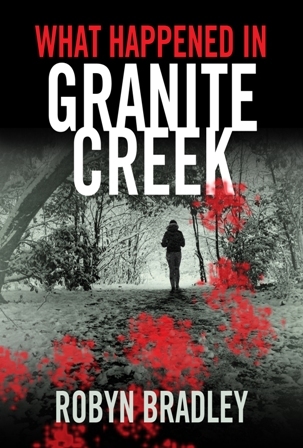 Told in multiple viewpoints and spanning across nearly two decades, What Happened in Granite Creek brings readers on a journey of intrigue filled with unexpected twists…and reminds us that nothing is ever what it seems. Note: reader reviews are looking good! Read what some are saying by going here.